It goes without saying that maintaining healthy, strong bones is incredibly important; your bones work hard, for many years, and they need to be well supported nutritionally, so your frame remains strong throughout your life. Peak bone density is actually reached at around 20 years of age, so what can you do now to keep your bones as strong as possible for the future? Clinical Nutritionist, Suzie Sawyer, gives us her five top tips on how to build strong bones from an early age, but also how to maintain them throughout your life. Calcium is the most abundant mineral in the body, most of which is stored in the bones. Indeed, bones have a great storage facility for calcium, which starts before birth and continues for many years. Therefore, eating foods containing good amounts of calcium, particularly during the teenage years is key to building good bone density; milk, yoghurts, soya foods, green leafy vegetables and bony fish, particularly sardines are great choices. Interestingly, low fat milk and yoghurt actually contain the same amount of calcium as full-fat, so your waistline doesn’t need to suffer at the expense of your bones! Calcium can’t be metabolised without sufficient vitamin D, the wonderful ‘sunshine’ vitamin! 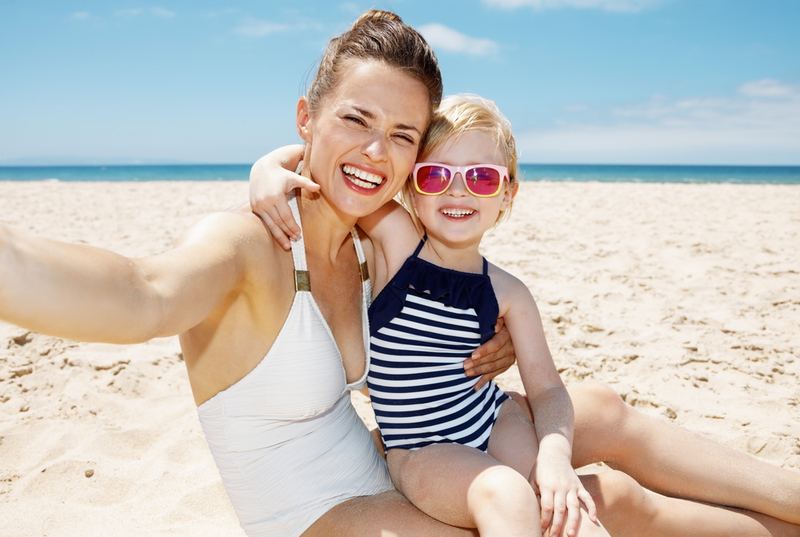 Most of the body’s vitamin D is made on the skin in the presence of sunshine, so it makes sense to be taking regular holidays (as if we need another excuse for some time in the sun)! During the summer months, just 10-15 minutes of direct sunlight, without high strength sun cream, is sufficient to make the essential vitamin D that your body needs. 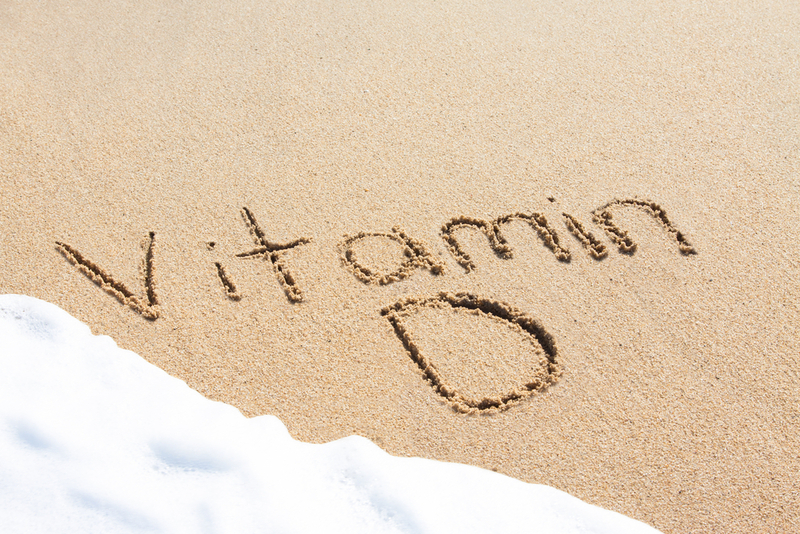 Throughout the year, but especially during the winter months, taking a vitamin D supplement may be a good choice. The Department of Health actually recommends vitamin D supplementation for teenagers, children under 5, those over 65, pregnant women and those breastfeeding, plus people who don’t get much sunlight or who have darker skin. The UK does not get as much sunshine as many other countries in the world so again a supplement can be beneficial for many people living in the northern hemisphere. In terms of which foods contain Vitamin D, there is some in egg yolks, bony fish and cheese so also include these foods in your diet as much as possible. 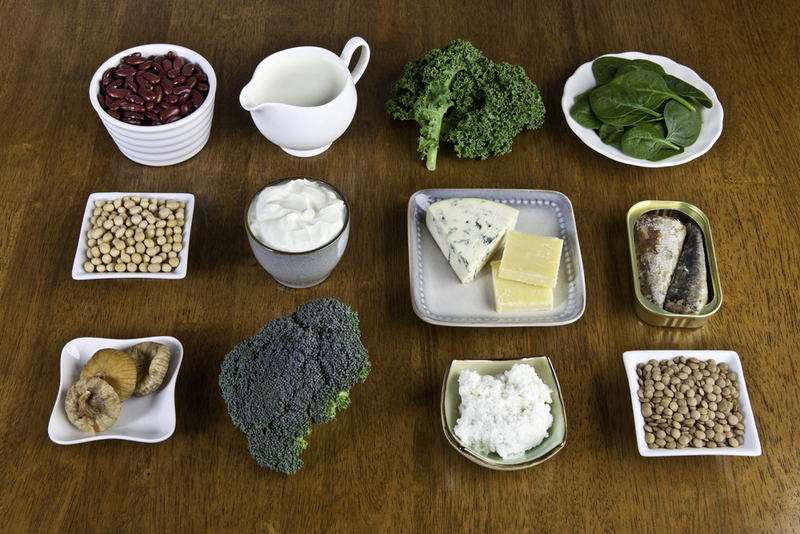 If you’re making great efforts to eat the right bone-building foods, it makes sense not to eat foods or take drinks that are going to deplete the body of calcium. 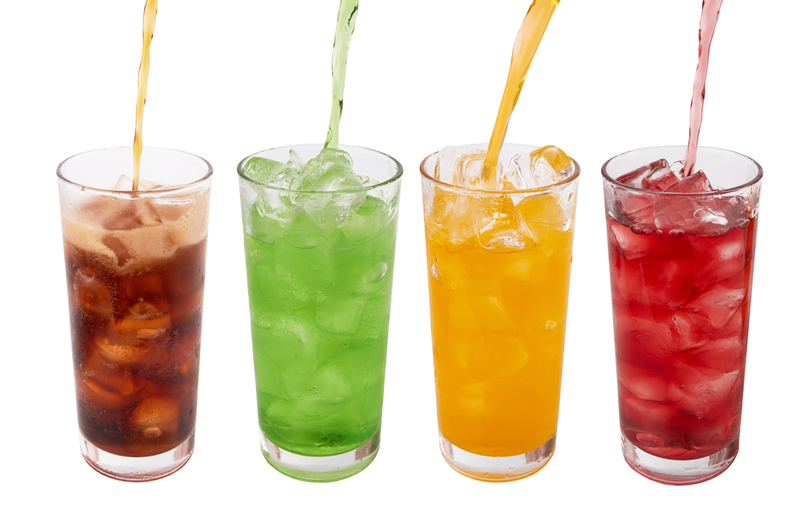 Fizzy drinks contain phosphoric acid. This creates acidity which the body doesn’t like, therefore calcium is leached from the bones to counteract that acidity, and all your hard work can go to waste. This is especially key with children and teenagers who may overload on fizzy drinks. Alcohol and coffee also create more acidity, therefore should be drunk in moderation. Additionally, red meat, especially processed meats such as ham, bacon and salami are not well-liked by the bones, so also eat these sparingly. It’s not always easy to get children and teenagers to eat their greens! However, if you can get them into good habits from an early age, their bones will certainly appreciate it – in fact it’s important for all the family to eat their greens! 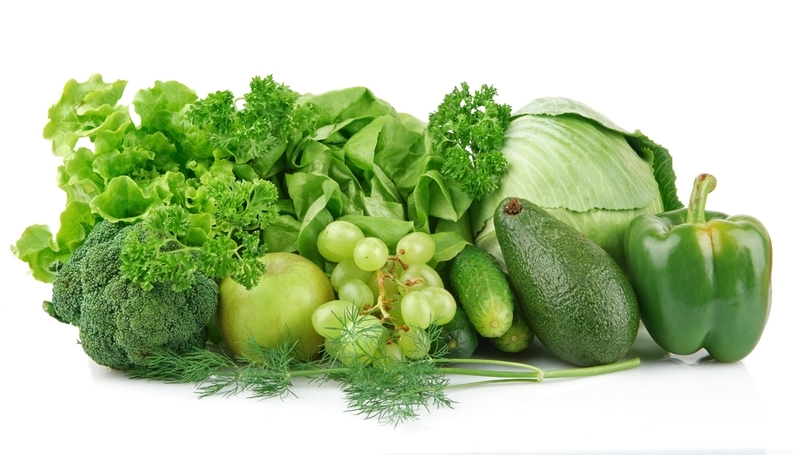 Green leafy vegetables are rich not just in calcium but magnesium as well. Magnesium is a key mineral stored in the bones, second only to calcium, and works in partnership with Calcium to build and maintain strong bones throughout life. Think kale, spinach, Swiss chard, broccoli and cabbage; try to eat at least one of these every day. They are also great to add to juices with pineapple, carrot, and beetroot – a real mega nutrient hit your bones will love! Whilst your grandmother might have cooked up a bone broth many years ago, most good quality restaurants will always have a pot on the go and they will use it as a stock base. However, your grandmother knew a thing or two about nutrition. A broth made from bones provides an excellent source of calcium and magnesium and also helps to support the immune system. You can use any leftover bones, maybe from some roasted meat or chicken (you can also make a fish broth or buy bones from a good butcher). You can then add whatever takes your fancy; typically, onions, parsnips, carrots and celery, together with garlic and herbs to suit your particular taste. 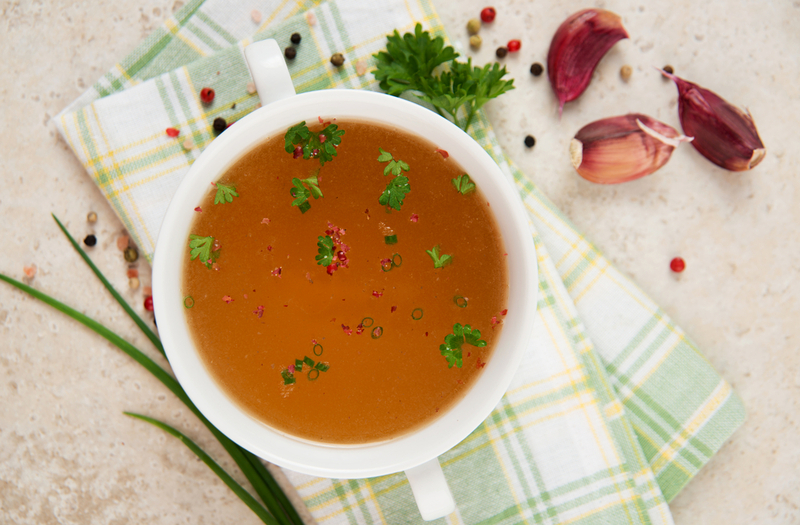 You can also use this as a wonderfully healthy stock base for gravy – just like the top restaurants do! TIP 5 – EXERCISE, EXERCISE, EXERCISE! It’s especially important to take regular exercise for healthy bones from an early age. Your skeletal frame likes to be active; think of how active our ancestors were, particularly cavemen! Any weight-bearing exercise is the key but this doesn’t have to mean spending endless hours in the gym. Brisk walking, dancing, racquet sports, yoga, tai chi, golf and jogging are all great exercise your bones will love, and should be encouraged from a young age, and on a regular basis. Indeed, it’s the combination of the right nutrition and exercise which has the biggest positive impact on bone density throughout life. It’s never too early or too late to take care of your bones and with some mindful diet and lifestyle choices, they’ll keep you going strong. ← Going Green: what are the benefits of a vegetarian diet?